ARLINGTON, Va. — During the fiscal 2019 budget release, the U.S. Navy will unveil changes to the number of “mission modules” it will procure for Freedom- and Independence-class littoral combat ships, a program official said Thursday. The three LCS mission modules contain a number of weapons, sensors and unmanned systems used for missions related to surface warfare, mine countermeasures and anti-submarine warfare. Any changes to the existing programs of record could spell out millions of dollars for the companies manufacturing those products. The Navy’s LCS program office plans to buy 24 surface warfare, 16 anti-submarine warfare and 24 mine countermeasure modules, said Capt. Ted Zobel, the LCS mission module program manager. Zobel declined to elaborate on which mission packages would grow or decrease in number. 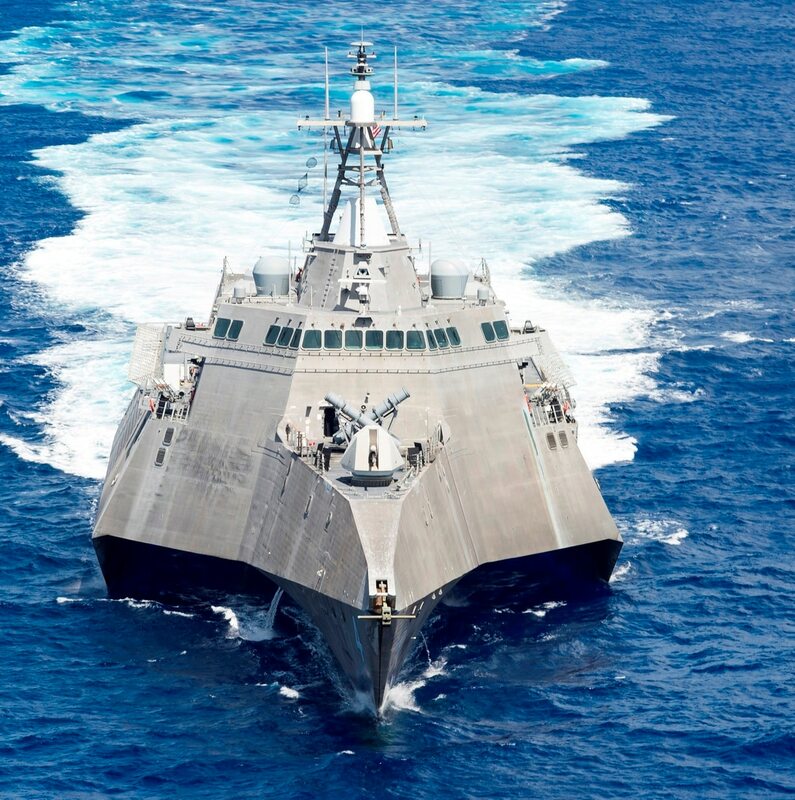 However, he explained that the changes to the modules were being driven by the Navy’s decision to purchase only 32 LCS instead of 55 and to semi-permanently install the mission equipment instead of the original vision of a swappable package. “The numbers are kind of lagging the plan in the budget, so we were directed by Congress in ’17 to document that the new numbers align to the new plan,” he said. The 39-foot CUSV, which is developed to perform mine sweeping and countermeasures for the mine warfare package on the littoral combat ship, is getting ready to be developed further with new lethal and non-lethal payloads. Decreasing or increasing the number of mission packages could have major implications for a wide array of weapon systems. Some, like Lockheed Martin’s Hellfire missile (included in the surface warfare module), are widely used across the military. However, others — like Textron’s common unmanned surface vehicle and General Dynamics’ Knifefish underwater drone hunter — would be greatly impacted by the Navy’s decision. The surface warfare package is scheduled to hit initial operational capability in fiscal 2019, followed by the anti-submarine warfare and mine countermeasures modules in fiscal 2020, Zobel said.